Unseen Films: Monster Fest 2016 Announces Keynote Speaker Ted Kotcheff and Exciting Closing Night Film with Guests! 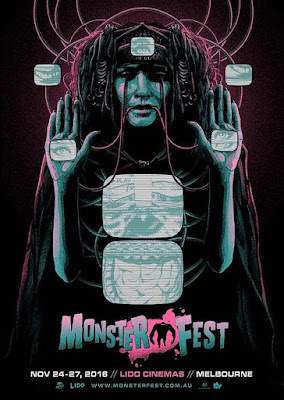 Monster Fest 2016 Announces Keynote Speaker Ted Kotcheff and Exciting Closing Night Film with Guests! In conjunction with the festival, Monster also announces the return of the Monster Academy - now dubbed The Swinburne University Media and Communication Monster Academy – a two-day industry conference that takes place Nov 23 and 24th, running up to the festival itself. We’re also excited to announce that Sundance WTF sensation THE GREASY STRANGLER will be our Closing Film followed by a GREASY GALA with the two stars of the film, special guests Sky Elobar (Big Brayden) and Michael St. Michaels (Big Ronnie – the Greasy Strangler himself) in person! The premiere of the film The Guardian called "a playful oasis of filth and depravity" and Empire called “one of the best movies of 2016” will be accompanied by a nationwide tour with the stars in attendance for special event screenings, “Greasy Disco”, themed drinks, “Hootie Tootie Disco Cutie” contests and various oily hijinx. Grease is the word! Please note Monster Academy Passes and tickets are sold separately and will go on sale when the full Academy lineup is announced in the coming month.